I was eagerly anticipating this BR Klassik disc when I saw it on the review list. This symphony was the first of Bruckner's works that really struck a chord with me, and it remains one of my favourites. I have admired the work of this conductor, Mariss Jansons, immensely over the years, particularly during his seasons with the Royal Concertgebouw Orchestra. The Bavarian Radio Symphony Orchestra is superb, and again a favourite of mine. The programme notes are excellent, comprehensive and give an insight into this symphony's long and difficult gestation. Whilst it is not complete (due to the composer’s protracted illness at the end of his life), the sublime third movement really provides such a satisfying ending and farewell to this earth. The composer himself grappled with a fourth movement, but in the end suggested that his Te Deum (another favourite of mine) could be used as the finale. In my opinion, though, the work is perfectly complete as it is. I have a few recordings of this symphony, and this latest version is as fine as any I have heard. From the opening mysterious brass calls, one senses a breadth and majesty, but also a sense of urgency. The orchestra, in all sections, responds superbly. This is a movement with a wide range of emotions, from the hushed mysteriousness, the rising almost panic in the sequences, to the monumental, and a surprisingly tender second subject. Jansons feels his way sensitively through the work, and the result is truly sublime. His realisation of the crescendos to the full climaxes is magical. There are some remarkable short wind solos, and one cannot fault the strings, but for me, it is the brass that shines. A fantastic sound and warmth in their playing abounds, and the players are never guilty of overcooking their contribution. Listen on a good sound system with good speakers and at a respectable volume, and you will be as impressed as I am. The second and shortest movement is a mixture of the almost mechanically demonic, waltz like tunes and a rather more relaxed but unearthly trio. The 'demonic' (at least for me) mechanical section almost anticipates the horrors of the early part of the twentieth century. This is the only section which caused me to pause in my admiration for this disc, as I would have liked it to be a little more driven forward, and I felt that, if anything, it was slightly held back. The changes of contrast never cease to amaze me, however, and there are subtle accelerations in the interludes between the massive chordal utterances which dispel any misgivings I had. What a finely-crafted interpretation this is. The trio is absolutely delightful. In the final movement, one feels that time almost stands still. It is majestic, poignant, a little anguished and yet resolute. One feels the vision of heaven, with drum rolls, trumpet calls and arching melodies, and yet there are amazing, almost mysterious hushed moments too. One could not wish for a finer conductor or orchestra to record this work. The precision, attention to detail, warmth and depth of sound really set this recording apart from the pack. Every aspect of it deserves my praise and admiration and it will be one of my most treasured discs. 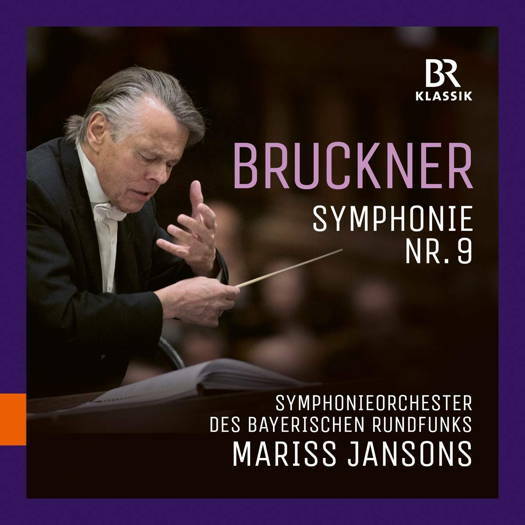 For those who love Bruckner, and even perhaps for those who are not so fond of his music, this is a disc to treasure.